(Original Platform) How do I publish a document to WordPress? 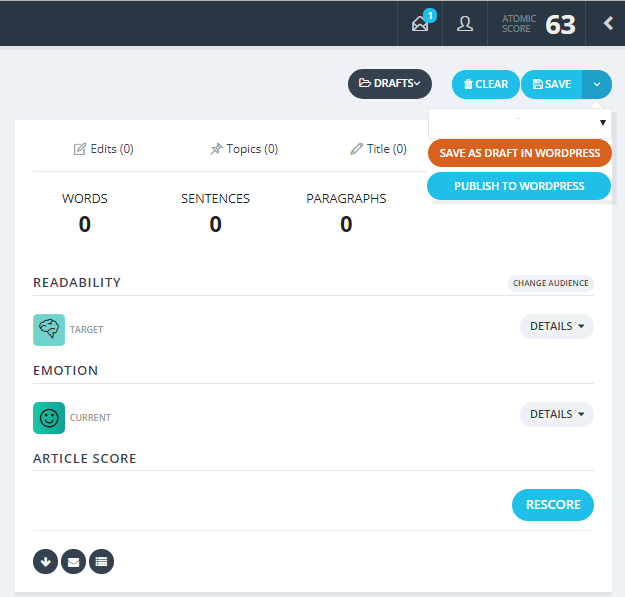 Atomic Reach integrates with WordPress which makes writing and managing your articles incredibly easy. In Atomic Reach's Content module, you can grab any draft or published article from WordPress from the Drafts button. We also display whether the article is a draft or published. 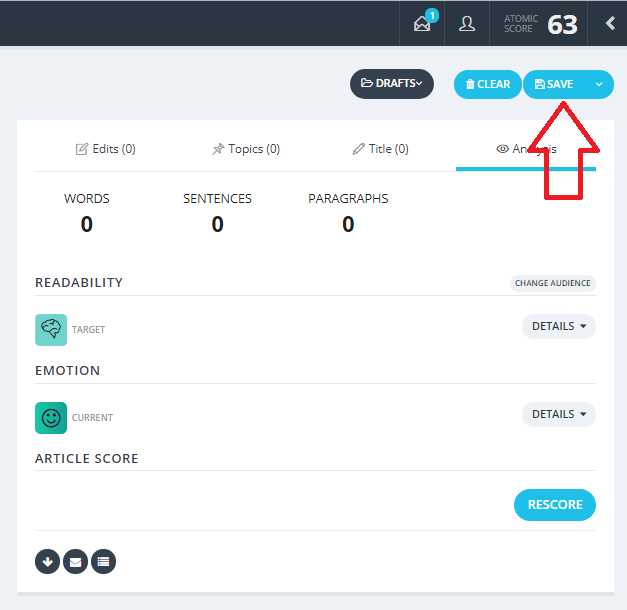 On existing drafts and articles, your changes can be pushed directly to WordPress via the Save button in the upper right corner of the module. You can also create new drafts or even directly publish to WordPress via the additional options from the drop-down of the Save button.